I’ve got a thing for Shimano Japan lure rods and spinning reels, and their amazing hard lures that come from Japan are really growing on me. Great casting, incredibly well made lures that work really well for our bass - what’s not to like? Holy cow do I like this smallish but nice and chunky and very stable Shimano Exsence Responder 109F (109mm 15g). It absolutely flies, and with very little effort as well, and it swims so nice and shallow with an intense little wiggle. One of the biggest bass I can recall hooking was on this lure, but the swine fish came off! Special mention hard lure of the year 2018. A bigger version of the lovely little 109F, this Shimano Exsence Responder 129F (129mm 19g) casts a country mile, swims nice and shallow, and can keep going in some surprisingly turbulent conditions. Looks seriously stunning in the water on a simple straight retrieve. I don’t know what Shimano have done to these Silent Assassin lures, but they absolutely fly - and this little Shimano Exsence Silent Assassin 99F (99mm 14g) is no exception. I am amazed how well this lure “grips” and with how stunning it looks in the water I’m going to give this thing some proper water time. Available here in the UK, and from Ebay here. 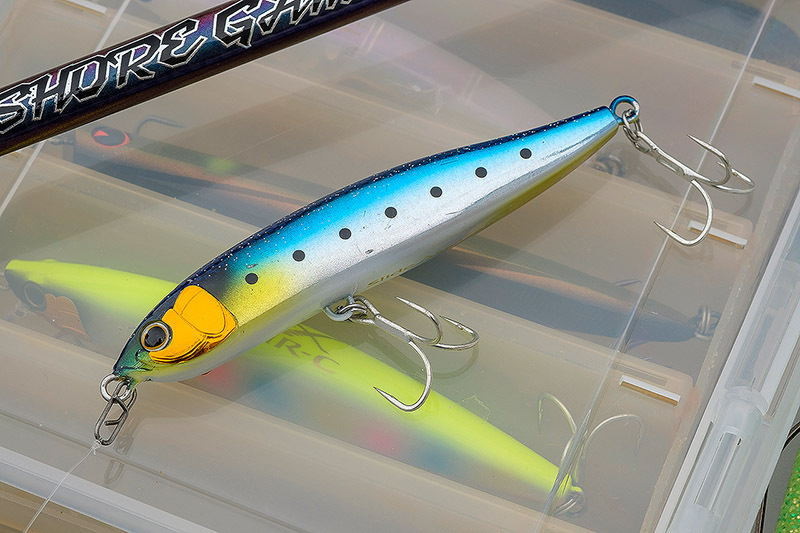 These Shimano Japan hard lures are really growing on me, and this very long-casting, very “grippy” Shimano Exsence Silent Assassin 129F (129mm 22g) is no exception. I don’t know what Shimano do to their hard lures, but for some reason the finish and components just last and last. The sinking and slightly heavier version of the lure above, this Shimano Exsence Silent Assassin 129S (129mm 24g) casts incredibly well, and I seriously fancy this thing for bouncy conditions out on the coast. Casts great and on a slowish to medium retrieve this Shimano Exsence Slide Assassin 100S X AR-C (100mm 23g) swims with a stunning slalom “S” kind of action. Shimano Japan make some awesome hard lures and it’s great that we are seeing a few more of them here in the UK. 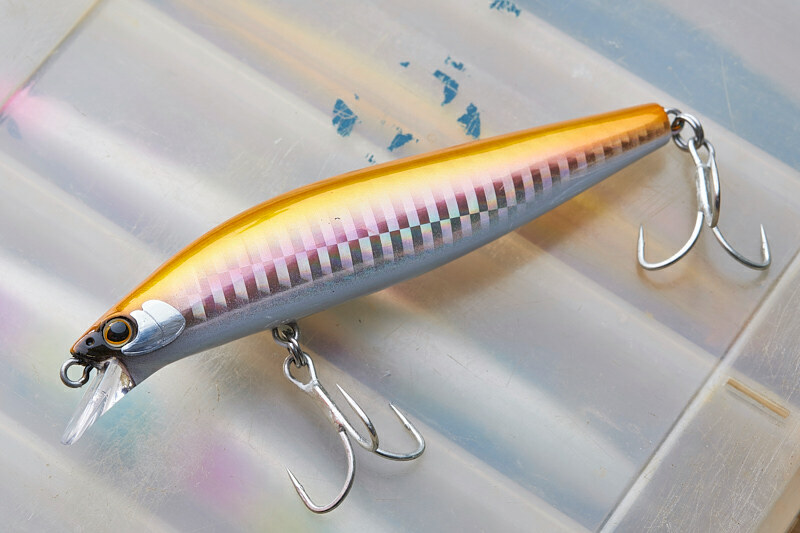 Wow this lure flies when you catch it right, and whilst the Shimano Spinbreeze 130S (130mm 30g) is sold as a flatfish lure in Japan, it’s the perfect lure for our bass when conditions are bouncing and you need some distance and stability. 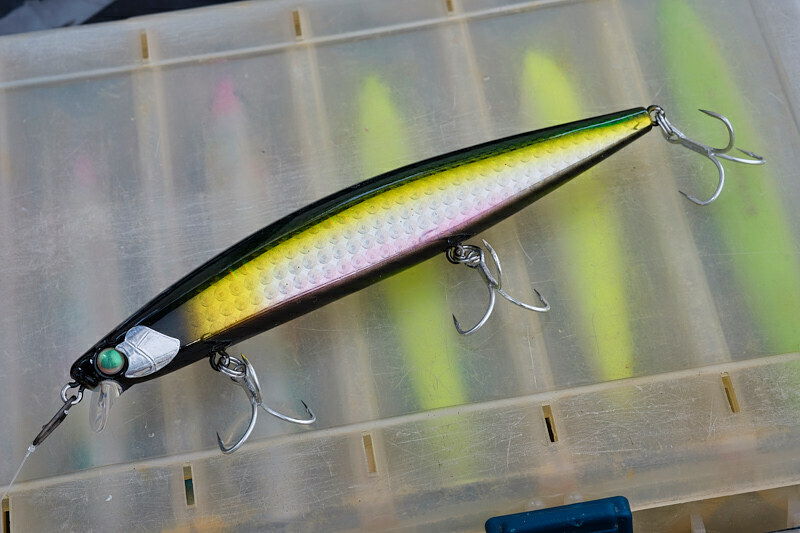 If ever a hard lure was made for rough, turbulent conditions, then this Shimano Hirame Minnow III 125S (125mm 25g) is it. 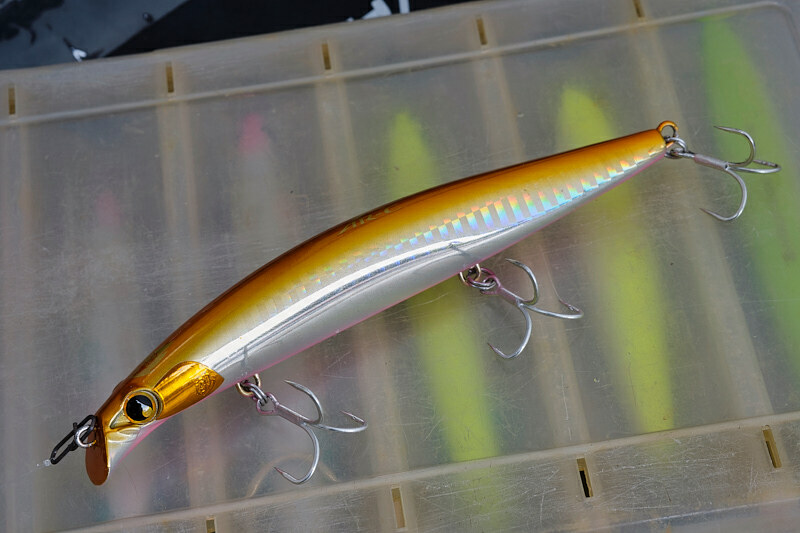 Serious casting, lots of action in the water, very, very “grippy”, and I really fancy this lure to do some harm when it gets bouncy out there.